 Join the 100’s of businesses already benefiting from supporting the Lake District Foundation. Increased customer offer by giving them the opportunity to have that warm fuzzy feeling of “giving something back”. Invites to meet our influential board members, ambassadors, and like-minded businesses at exclusive events. Increased staff engagement and retention, and increased links with the local community. Authentic impact stories to share with your customers— content, images, facts and figures, with new projects funded every 6 months. Marketing materials including logos, posters, window stickers and fundraising certificates, plus listing on our website. Bespoke press support at significant fundraising milestones. Progress against your CSR goals – working with us counts towards your Green At Heart and Green Tourism Business Scheme accreditation. Meet the “world-class” expectations of your customers, while ensuring the future sustainability of your business. Know that you are playing a vital part in caring for our special destination.